I’ve taken up the practice of writing a twice a day 1 sentence journal. I learned this from the lovely Zen Habits Blog which I would highly recommend to others. It’s a great way to start the practice of reflection. Reflecting on all these sentences I realized a couple of things. 1. That life is filled with a mix of somewhat profound discovery and mundane beauty, and that this mix is what makes life both bearable and satisfying. Life seeks to teach us lessons by repetition and reflection helps us remember what we are trying to learn or unlearn as the case may be. Try writing a one sentence journal this week. Do it at the same time everyday. Don’t worry if what you write isn’t profound. It’s not about being poetic but just being really honest with where your at. Confession even to yourself is a very powerful act. The work of purifying the heart isn’t all fuzzy warm hugs, sometimes it’s acknowledging and drawing out the barbs from your own heart. The next time a cute girl sits down next to me on the bus, I’m going to say hello. When I see pictures of us I realize I wish I had appreciated more how much you loved me and I wonder if anyone will ever love me like that again. A true friend tells you the truth in a way that even when it hurts nourishes you. Filling out a job history is like taking a trip down memory lane, with my brain going you really did alot of cool random things dude. The night before the big race, tension, fear, excitement, and the intention to share the merit of my effort to serve wisdom and compassion. I didn’t cry when I finished my triathlon, but when my sister said I was her hero for doing it … tears. There’s a kind of sweet tired feeling that overtakes the body; this satisfaction of being thoroughly used by life. Cool soft milk poured into a bowl of sugar filled crunchy cereal, makes me feel just like a kid again. To engage another in the exchange of honest reflection, helps me to grow and is always worth the risks. Being in a choir again reminds me of the simple joy of first learning to sing. Sometimes the best plan is to have no agenda, but to be present and available for whatever might arise. It’s good to remember that looking for work puts people in a very vulnerable and tender place, where defensiveness and justification are their armor. Everytime I question whether I should exercise or meditate, I should remember that both give me a calm and space that soothes my heart. It’s satisfying to see myself making progress on letting things go to move onto what is next and it’s effect on my punctuality. There are few things as satisfying as being to be there for my friends, especially the ones that are always there for me. There is something about some fundraising campaigns that really makes me question the integrity of their techniques. Two days two job offers apparently I’m very professionally appealing. Who knew? I now have my own website, YAY! Bringing my teacher coffee is the simplest way I can express a gratitude and appreciation for the intimacy of his teaching. Good conversation is its own reward. It’s very satisfying to be excited about promoting something I care about that I also want to do for a living. I enjoy helping friends push their boundaries, but I am dedicated to focusing on empathy before information. First day at the new job, excitement, boredom, stress, satisfaction, it feels good to be working. Working often makes a long day. It’s hard to go to go to sleep when you feel lonely. Working outside even when tiring is very pleasant. To listen deeply even if you don’t agree is so powerful and nearly always opens my heart. Sometimes it’s very hard to know who exactly is your friend. Lateness cascades into lateness cascades into a pressure in my head, therefor timeliness very often leads to more peace. I love riding my bike through the city at night, because there is something so alive about it. The new little camaraderies that develop at any job are a sweet ripe fruit that delight the mind and heart. It’s good to feel engaged and involved in an area I feel confident and competent and know I can be relied upon. I notice I often have a tendency to ask others more questions than I answer and perhaps this is because I’m reluctant to reveal how vulnerable I can really be. There are so many choices about how to spend your time in this life. You could become an expert computer programmer, or cook, or wood worker, or New York Times crossword puzzle completer. So why be fit? Why should you spend your time working on create a healthier body? Especially considering that is will deteriorate no matter what you do. The ephemeral nature of balance in the body can lead us to wonder why bother at all? If you spend more time working maybe you could buy a really, really, nice car that you can drive even if you’re out of shape. But with fitness it takes constant and concerted effort to maintain your investment. Or if you’ve gotten older it may seem like it’s not worth your time to build your body back up. There are many reasons compelling reasons why it’s worth it to bring your relationship with your body into balance, but there are two that come up in my mind first. First, there are few things in your life you will spend as much time with as your body, so it’s better to make friends with it. Even if you decide that you don’t want to be particularly athletic, regular exercise makes a friend out of your body. That’s what friends do, they go out and have fun together. Maybe your idea of fun is sitting on the couch and munching some yummy snacks. Its very true that can be fun, but good friendship is more than just enjoying company. A good friend also pushes you to grow into all that you can be. Taking walks, getting outside, even going to the gym will assure that your friendship with your body has a deep and abiding quality. The second reason is contained in the impermanent nature of fitness and the body. Working to find and maintain balance in our bodies is a constant dance that requires our love and attention. There is a joy that can be found in this devotion to health and well being. Of course this devotion can get out of control and become an obsession, but if managed well there are few things that can bring us that much joy. The fact that our fitness is something we have to tend to isn’t an annoyance or an obsession but it is a wonderful gift. The job demands the best parts of ourselves and reminds us how alive we really are. If you’ve ever tended a garden, or taken care of a sick friend, or had a pet you have experienced this fully alive engagement . Take some time this week to reflect on how you could become friends with your body? What can you do to make sure it’s a long and mutually beneficial relationship? Then take some time to appreciate the dance of health. What have you learned to find balance and peace around? How could you bring the lessons and most importantly the joy you felt in that area into your everyday practice of exercise. So I’ve done one post about the 7 Habits of Highly Effective People by Steven Covey, but just a reminder I am sharing this info to encourage myself to think about the lessons as if I was going to teach them, but also because I’m learning a lot about myself from reading the book. I recently read the section about finding your center, where Covey relates all the different things people center their lives around. I wondered about people who have fitness as their center. I wanted to reflect on my experience of having exercise at the center of my life. This last year as my triathlon training picked up I found that exercise had become the center of my life. Well I should clarify that it wasn’t just exercise, but fitness in general. I had an ap on my phone where I obsessively put in calories, I measured all the metrics of my workouts, I read about triathlons, and very very often I didn’t do other things because I wanted to workout. I got to work late because I wanted to get the last few laps in at the pool. I didn’t go out with friends, so that I could get up early and exercise. In and of itself none of these things were a problem. There is nothing inherently wrong with choosing something like fitness or training over other things in your life. Many professional or even serious amateur athletes do this all the time. What was wrong, at least for me, was the place that this choice was coming from. It was the place of trying really hard not to screw up. It was a place of insecurity, of confusion, and that lacked what Covey calls the 4 factors: security, wisdom, guidance, and power. I only felt secure when I had done the training program. I had little access to wisdom other than reliance on the plans wisdom. I was guided by the plan and found power only when I attended to it diligently. Don’t get me wrong there is a part of me that was and is happy that I was so one minded about my efforts. I had a great first olympic tri, my body got stronger, and I built faith in my ability to apply myself. But instead of moving into training from a strong place of vow and clarity. I ran into it out of fear of what else might happen. Fear of the space that would be left if I didn’t fill every moment of my life with training. How often do we do this in our lives? Some people fill that space with food, or tv, others with exercise or information. Some of these fillers may be more skillful than others, but if they all come from a fear of what is at the center, or what might not be at center, they are all a bit off. Many people think that people who are fit are better than those who aren’t, especially if they are people who fill space with food and thus don’t look as ‘in shape’ as the exercise centered people. In truth many people who are fit are just as scared as you are. In the long run I think exercise has great potential to clarify the mind, but it also has potential to cloud it. It’s not about the strategy, but the center that it comes from. When you move forward from a strong center, you greet the world with confidence. Even if you feel uncertain from time to time, that center becomes a force of gravity into which you can lean. Having a strong center is so powerful, because the worldly winds don’t hold as much sway on you. There is a sense of being able to close your eyes and know in your heart that you are doing your best, by being who you are, with integrity and authenticity. There is hardly a better gift to give to your life and the lives of those around you. Take a moment to reflect on a time in your life, where you became centered on some external thing. What did it feel like to be so dependent on something else for security, wisdom, guidance, and/or power? Then reflect on a time where you felt like you had a solid center. Maybe it was when you were much younger and perhaps even idealistic. What was different about that time in your life? What is the center of your life now? If you don’t know what could you do to help clarify it? Here we are testing a variety of things. Members of this group are working towards fitness goals. You are welcome to join us in training for a goal event or just to improve your fitness. No matter what your level of fitness you are welcome to join us. As a coach I will work with the group on a training plan to get you from the cushion to the finish line. Plans will be designed for the whole group, but I’m happy to offer advice and help to anyone needing personal consideration. Cost: First Week Free! Sliding scale $10 – $20 per week or $35 – $75 for the month. If cost is a concern for you please contact me so we can talk about it. 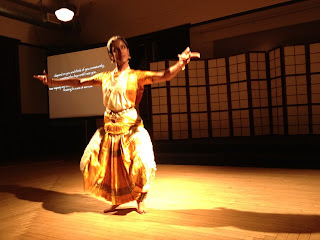 I attended an event the other night for my Buddhist Sangha where we were treated to an amazing performance by a classically trained Indian dancer. 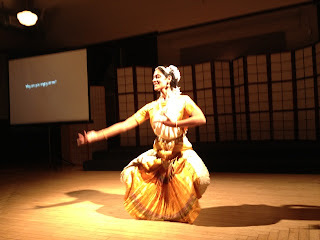 At first I had been watching the performance from the back of the room where I was running the sound, but on the longest piece I moved forward so I could sit very close and watch her dance. I was amazed when I got right down next to her how much different the experience was when I was closer to her. It was engrossing. There was this human body in front of me displaying the nimble expression of emotion and spirit. You could see tendons stretching, muscles taut and flexing. You could see and even feel this gentle, springy poise and strength. It was beautiful. And it struck me that not only was this dancers body a thing of beauty, but the reality is every human body is a fine tuned machine. How often in training have I treated my own body like a old clunker? This advice is essential for anyone seeking a balanced body and mind. Often the language used by the fitness industry acts, as if the body is a piece of steel, that can be heated and pounded into form. In reality our bodies are more complex than a super fancy sports car or fighter jet. By doing things like warming up properly, exercising with a sense of awareness, stretching, and engaging is an exercise plan that builds strength and conditioning over time, we can honor the fine tuned nature of our body. But if we ignore what our body is saying at every turn, push it beyond what we can do at the time, and fail to treat it with respect, we reap the results of that attitude. This isn’t to say, that when seeking to have a better fit there will be no discomfort. There does need to be a bit of pushing and cajoling that occurs. But we must do our best to find the balance between pushing and forcing. Discomfort is ok, maybe even a little ache or pain occasionally, but in general consistent persisten pain is best avoided. Take some time this week and reflect on a time when you haven’t treated either your body, a relationship, or another piece of fine tuned machinery roughly or cavalierly. What was the result? What if you had tried a more gentle approach? Then think about what could you do to manifest respect for your body in your life this week. Maybe you could honor your body with a healthy meal. High end cars often need special fuel. Or, if you have chronic injury, finding a warm up routine that helps strengthen that area. Or you could even try taking better care of your body by taking a bath, or getting massage, or even just thanking your body for helping you out. No matter what it is, if we treat our bodies like a fined tuned machine, our bodies are much more likely to respond in kind. HEY! What do you think of the post? I’m refining my style and would love feedback. When I was a preschool teacher I remember telling my students about how I fell off my bike. Many of them couldn’t believe that I did this. For little kids they think adults can’t make the same mistakes they do. They rarely see adults make these mistake and even when they do adults are quick to redirect their attention. Part of that is that as we get older we are less and less willing to look foolish in front of others. Usually our technique for doing this is by avoiding risking anything that might make us fall or stumble in a clear and obvious way. During my first olympic triathlon there was a water hand off point about mid way on the bike course. That is where nice folks hand out water to thirsty cyclists. During the hand off of said water I had a mishap in which I veered off the road onto some gravel, my bike slid, and hit the ground pretty hard. I wasn’t injured (except for my pride), but I had to put the chain back on, realign the brakes, and try to make up for lost time. After the race I had a chance to reflect and see what the lesson might be. I realized that this pattern is something I can observe in other parts of my life. I observe someone doing something that from the outside looks easy and satisfying. Then I long for that perceived satisfaction and grasp at it. Soon after I realize that their ease is not my ease and often I realize this as I am falling. The lesson I take away from this is that I need to learn to be satisfied with the path I’m on. Another’s satisfaction is not my satisfaction. As we begin to try something new we might see others doing something cool, like a cool workout routine, or maybe some new way to run. We may read about it online or just see someone doing it at the gym or park. Then we think they look so fit and happy doing that, maybe what I am doing is wrong and that’s the way to get to where I want to be. So we try it out and maybe it works or maybe we get hurt, because we don’t know what were doing. In either case this lasts until the next cool thing comes along. It takes great faith to stick with what you have sometimes and see it through to the end. Now I’m not saying you should blindly follow one routine if it isn’t working. Experimentation, innovation, and discovery are essential tools for growth whether it be physically mentally or spiritually. But there is a difference between deciding to change course and veering suddenly off course to grab at some perceived satisfaction. It’s the latter we must be careful about. Having said all of that I think it’s always important to learn from your mistakes. So besides the lesson above I learned 3 additional things. 1. Taking a water hand off on a bike is a learned skill I would like to have. 2. If all I want is a splash of water it’s better to ask for help rather than to try to do it all myself. 3. There are much worse things than falling. Take some time to reflect on some perceived satisfaction you have grasped at on your path. Reflect on how that has worked out for you. Did you get what you sought? What would have happened if you had stayed the course? Were you able to get back on track? Then reflect on a time where you made wise discernment about changing courses. How did that feel different? Where did that desicion come from? What steps could you take to make sure your future choices are aligned with that same wisdom? I remember when my nephew was learning and mastering walking he fell pretty regularly, but when he fell he fell with a certain amount of grace. I realized after my first tri that the trick is to fall with grace. That there is a balance even in falling.